Alzheimer’s Can Happen at Any Age! Alzheimer’s Caregivers: Survive and Thrive! How to Write Your Slice-of-Life Story! 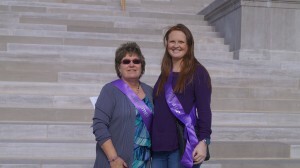 In Missouri 110,000 people have Alzheimer’s disease. Join us for Memory Day and talk to your legislators about respite care and other legislation that affects Missourian’s with Alzheimer’s and their caregivers. Welcome to my websi te, an Alzheimer’s resource for caregivers and individuals with dementia. Soon I will be publishing Alzheimer’s articles written in everyday language for people who, like me, have been personally touched by dementia. When Jim developed early-onset dementia, I began a quest to learn everything I could about Alzheimer’s disease. For the past fifteen years, I’ve continued my study of Alzheimer’s and have been involved in Alzheimer’s advocacy and other volunteer work. Having a loved one with Alzheimer’s turned my world upside down. The best description I can think of for a primary caregiver is on-the-job training for a job you never wanted. Alzheimer’s affects the entire family, and members need to know what to expect so they can make appropriate decisions and provide the best care for their loved one. Writing was my therapy throughout the ten years of being a primary caregiver, and helped me cope with Jim’s death. 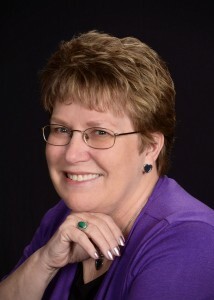 By sharing my experiences as a caregiver through my early onset Alzheimer’s blog and this website, I hope to provide encouragement, inspiration, and information for others who travel the Alzheimer’s Journey. Could Eye Exam Identify Alzheimer’s Risk? New Blood Test for Alzheimer’s Disease?